Protests and conflicts are identified by the police as being possible future threats. Unrest in communities poses the greatest threat to the May 8 elections, SA Police Service (Saps) top management told MPs on Tuesday. Briefing the police portfolio committee, Major General Zeph Mkhwanazi said a threat assessment by Saps ahead of the polls identified community protests, issues with demarcation, violence in the public transport sector, student protests, anti-foreigner sentiment, and political conflicts. 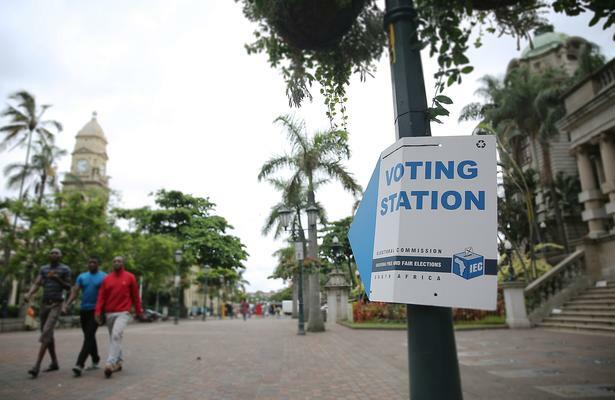 “The main threat for the elections is unrest situation which is caused by different issues ranging from water, houses, and roads… we are looking at those issues… we have contingencies on that,” said Mkhwanazi. He said the community protests were concentrated in Gauteng, KwaZulu-Natal, Eastern Cape, Mpumalanga, Western Cape and the North West. The total deployment of Saps personnel before and during the elections was 81,938 officers. Reservists will be called up to assist. National Reaction teams will also be in place and on hand to be deployed to provinces while the SA National Defence Force (SANDF) will be on standby to assist when needed. The SANDF and disaster management teams will also be deployed should rotational power cuts, which are already a daily part of the lives of South Africans, pose any threats to the polls. Deputy national commissioner Lieutenant General Fannie Masemola told MPs that together with the Electoral Commission of SA, generators would be deployed to certain voting stations if necessary.